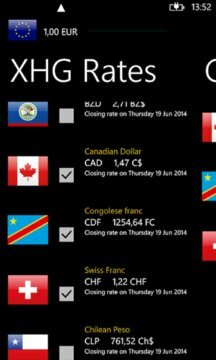 TOTALLY FREE MULTIPLE Currency converter that works OFFLINE! More than 150000 downloads of Quick Currency Converter N9/Symbian version! Now fresh new Windows Phone version. An intuitive currency converter tool which can be used offline. The interface shows multiple conversion rates at the same time which is a standard requirement for currency converters today. Rates & images provided by ECB, IMF, & FOTW.